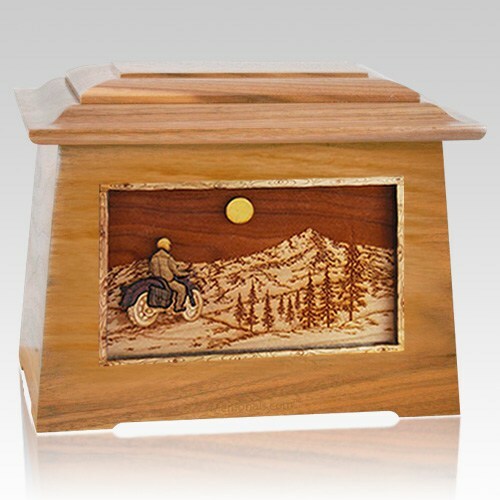 The Motorcycle Mountains Aristocrat Cremation Urn is made from oak wood and finely crafted pieces featuring a breathtaking, realistic nature scene, expertly carved into three dimensions using up to 7 kinds of wood. There is no paint on this urn. This will be a beautiful family heirloom for generations to come. It is master crafted in the United States by some of the most talented woodworkers in the nation. 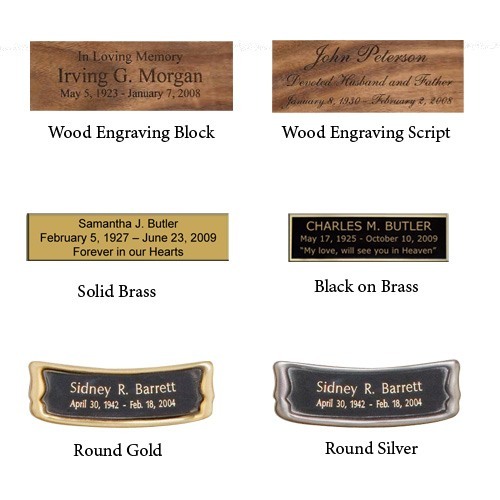 "In my opinion, you're doing great as you are, with prices, selections and detailed shipping information. I find most gratifying the ability to see the detail on the mini urns as well. Keep up the good work."